Uhhhhhh... yes, please. At first I thought that this was a historical piece about why the Great Wall of China was built. I'm SOOOOOOO glad it isn't. 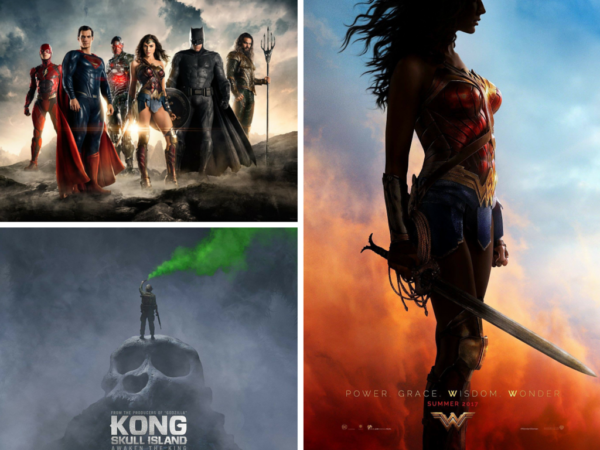 The Best New Trailers from San Diego Comic Con: Wonder Woman, Kong: Skull Island, & JUSTICE LEAGUE! Looks pretty special. Too bad there's no Will Smith, but it still looks good. The Marvel Reign continues with Civil War. The sequel to The Winter Soldier hits hard, when lines get crossed, and chaos ensues. These movies hardly ever fail to disappoint. I'm so there. Check the trailer below. Kevin Hart continues his hot streak with another one this summer. Who's going? Great tag line, though. This looks incredible. Who's going? Wow, what a cast. I can't wait to see this one. Looks hella creepy.... who's coming?